Even though the doubts about Galileo's orthodoxy had by now been cleared up to the satisfaction of the Church authorities in Rome, his intense activity to support Copemicanism, especially after his arrival in Rome, together with the position taken by a theologian such as Foscarini, had created too much confusion for the Church to be able to hesitate any longer to take a clear position with respect to the affair. The Sun is the center of the world and hence immovable of local motion. Although the theologians assigned to examine the propositions were competent in their own field, 55 they certainly were not so in the field of science. And yet they had no fear about giving an answer and they did so in the short period of time granted to them by the Holy Office (less than four days). Obviously, in the unshakable certainty of their philosophical and theological convictions the qualificators did not consider it necessary that they have more time in order to pass judgment on an opinion which was so obviously absurd. And, as for that, after months in Rome of heated arguments about the case, they must have already had their minds clearly made up on what opinion they held.56 Without a doubt that opinion was agreed upon in the meeting of 23 February (see XIX, 320). On the following day (Wednesday, 24 February) in the next plenary session of the qualificators and the consultors of the Holy Office they agreed upon the following qualifications to be assigned to the two propositions. All said that this proposition is foolish and absurd in philosophy, and formally heretical since it explicitly contradicts in many places the sense of Holy Scripture, according to the literal meaning of the words and according to the common interpretation and understanding of the Holy Fathers and the doctors of theology. (XIX, 321; trans. by Finocchiaro 1989, 146). All said that this proposition receives the same censure [qualification] in philosophy and that in regard to theological truth it is at least erroneous in faith. (XIX, 321). The Pope told him it would be well if he persuaded him [Galileo] to give up that opinion. Thereupon Orsini replied something, urging the cause, and the Pope cut him short and told him he would refer the business to the Holy Office. As soon as Orsini had left, his Holiness summoned Bellarmine; and after discussing the matter, they decided that the opinion was erroneous and heretical; the day before yesterday, I hear, they had a Congregation on the matter to have it declared such. (XII, 242). We do not know from whom Guicciardini would have had this information. Orsini's intervention during the consistory of cardinals was public knowledge as was the Pope's response and, therefore, they had come easily to the ambassador's knowledge. The same holds true for Paul V's summons to Bellarmine. But, as to the rest, Guicciardini could do nothing but make conjectures, since the strictest secrecy surrounded the procedures of the Holy Office. And from the Holy Office's documents with which we are already familiar we know that the activity of the Holy Office had begun before Orsini's intervention. Illustrissimus Dominus cardinalis Millinus, notificavit quod relata censura Patrum Theologorum ad propositiones Galilei mathematici, quod sol sit centrum mundi et immobilis motu locali, et terra moveatur etiam motu diurno, Sanctissimus ordinavit illustrissimo Domino cardinali Bellarmino ut vocet coram se dictum Galileum moneat ad deserendas dictas propositiones, et si recusaverit parere, Pater commissarius coram Notario et testibus faciat illi praeceptum ut omnino abstineat hujusmodi doctrinam et opinionem docere aut defendere, seu de ea tractare; si vero non acquieverit, carceretur. (The Most Illustrious Cardinal Millini notified... that, after the reporting of the judgment by the Father Theologians against the propositions of the mathematician Galileo, to the effect that the sun stands still at the center of the world and the earth moves even with the diurnal motion, His Holiness ordered the Most Illustrious Cardinal Bellarmine to call Galileo before himself and warn him to abandon these opinions; and if he should refuse to obey the Father Commissary, in the presence of notary and witnesses, is to issue him an injunction to abstain completely from teaching or defending this doctrine and opinion or from discussing it; and further, if he should not acquiesce, he is to be imprisoned.) (XI, 321; trans. by Finocchiaro 1989, 146). These original minutes were later on transcribed into the acts of the Holy Office and that transcription, together with that of the other acts and decrees of that Congregation regarding Galileo were collected in a booklet which is now conserved in the Vatican Archives. Upon comparing the original with the transcription known up to the present, after the word "notificavit" at the beginning the transcription adds: "RR.PP.DD. Assessori et Commissario S.cti Officii" (the Reverend Fathers Lord Assessor and Lord Commissary of the Holy Office). It seems to me that this additional phrase unduly restricts the importance of the notification, which according to the original seems to be made to all of those present and not only, therefore, to the Assessor and the Commissary but also, and in first place, to the cardinals. Perhaps it is not completely unlikely to suppose that at the moment of the transcription the Commissary of the Holy Office had wanted to have added the words reported above which would put in a particularly clear light the role which had been entrusted (even if in a second hypothetical moment) to the Commissary himself. Is this a symptom of the actin that the Commissary in his heart intended in any case to carry through to the end? Whatever we make of the additional phrase, it is clear from both documents that the Pope did not take part in the session, contrary contrary to what is generally stated. Cardinal Millini, Secretary (Prefect) of the Holy Office, limited himself during the session to reporting what the Holy Father had already decided in all probability the day before at the moment of his meeting with Bellarmine about which the Ambassador Guicciardini speaks in the letter I have cited above. It seems to me perfectly clear from the English translation of the document cited above that the words: "after the reporting of the judgment by the Father Theologians … His Holiness ordered the Most Illustrious Lord Cardinal Bellarrnine …, indicate that it was as a matter of fact Bellarrnine who at that time informed the Pope of the "censures" given the day before by the qualificators and perhaps also of the ratification which took place on that same day at the time of the plenary session at the Holy Office of the qualificators and the consultors. In the light of such censures Galileo's doctrines were clearly "erroneous in faith" and, as to the immobility of the Sun, outright heretical. But how was one to proceed with respect to the author? By now Galileo was famous throughout Europe and "the principal mathematician and philosopher" of the Grand Duke of Tuscany. And it was not possible, despite his astronomical ideas, to doubt the sincerity of his faith. It was probably Bellarrnine himself who proposed to Paul V the procedure of a private warning to be carried out in the way we have just seen. And this would explain the fact that the task to present such a warning was given by the Pope precisely to Bellarrnine on the occasion of their meeting. With this expedient Galileo would be silenced once for all but without wounding his reputation (the eventuality that Galileo would dare to refuse to submit to be silent with the consequence of his imprisonment seemed to be extremely remote) and, therefore, without offending the Grand Duke. As to Copernicanism and the "theologians'' who supported it, the Congregation of the Index (Bellarmine was a member) would see to neutralizing both of them in a convenient way. That Bellarrnine carried out, in fact, the task assigned to him is verified by two documents contained in the same booklet of the "Trial" of Galileo, as also by a note added to the same page of the original minutes of which I have spoken above. Friday, the twenty-sixth. At the palace, the usual residence of the Lord Cardinal Bellarmine, the said Galileo, having been summoned and being present before the said Lord Cardinal, was, in the presence of the Most Reverend Michelangelo Segizzi of Lodi, of the Order of Preachers, Commissary-General of the Holy Office, by the said Cardinal, warned of the error of the aforesaid opinion and admonished to abandon it; and immediately thereafter, before me and before witnesses, the Lord Cardinal being still present, the said Galileo was by the said Commissary commanded and enjoined, in the name of His Holiness the Pope and the whole Congregation of the Holy Office, to relinquish altogether the said opinion that the Sun is the center of the world and immovable and that the Earth moves; nor further to hold, teach, or defend it in any way whatsoever, verbally or in writing; otherwise proceedings would be taken against him by the Holy Office; which injunction the said Galileo acquiesced in and promised to obey (trans. by de Santillana 1955, 126). The Most Illustrious Lord Cardinal Bellarmine having given the report tha the mathematician Galileo Galilei had acquiesced when warned of the order of the Holy Congregation to abandon the opinion which he held till then, to the effect that the sun stands still at the center of the spheres but the earth is in motion… (XIX, 278; trans. By Finocchiaro 1989, 148). The difference between these two documents is obvious. The second is in perfect agreement with the papal decision of which notice was given to the Holy Office in 25 February. Galileo was summoned and he was subjected to the admonition of Cardinale Bellarmine. It would seem, therefore, that there was no need for an interventions of the Commissary of the Holy Office (since as we know, such as eventual intervention was based on the condition that Galileo would refuse to subject himself to Bellarmine’s admonition) and there is no mention of such an intervention. Instead, in the first document we have a patent contradiction with the estabilished procedures. In fact, right after Bellarmine's admonition we have the intervention of Commissary Segizzi in a menacing manner. But there is no statement that such an intervention had been motivated, as prescribed, by a refusal of Galileo to accept the admonition. Besides these contradictions internal to this document, there is also the fact that it lacks the signatures of Bellarmine, of Segizzi, of the notary who prepared it and of the two witnesses (Bellarmine's domestics) who are named in the document. From the second half of the 19th century (from the time, that is, when these secret documents began to be known) all of this has brought about a series of contradictory interpretations, especially as regards the first document. It has come to the point of even holding that this document is a fraud, made up during the investigatory phase of Galileo's trial in 1632 in order to be able to bring accusations against him.70 But an accurate examination of the dossier of the Holy Office has shown that without a doubt this document goes back to 1616. Another hypothesis, first proposed by von Gebler and then by de Santillana,71 holds that the Commissary Segizzi, disillusioned by the too moderate manner in which Bellarmine had delivered the injunction and by the prompt assent of Galileo, decided to omit the official report despite the instructions which he had received. Then, as de Santillana reports, "On going back to his office, he [Segizzi] told his assistant to arrange a more helpful minute of the proceedings". On the 26 of said [i.e., of said month] the Most Illustrious Lord Cardinal Bellarmine warned Galileo of the error of the above mentioned opinion etc. and afterwards the precept as above was enjoined on him by the Father Commissary etc. (italics indicate the part of the original in Latin; non italics the part in ltalian). This annotation in agreement with the first document mentioned above definitely excludes the hypothesis of von Geblerand de Santillana. Segizzi's intervention took place, in fact, immediately after Bellarmine's admonition, even though there remains the mystery as to why the phrase which refers to this intervention was written in Italian, while the beginning of the annotation is in Latin. According to this author, Galileo, after hearing Bellarmine's injunction, would have hesitated to answer (or might have made some objection). At this Commissary Segizzi, who was perhaps already piqued by the moderate tone of Bellarmine in his admonition, decided to intervene and added without hesitation an express order of the most severe form. Faced with such an order Galileo did not hesitate to submit. But this uncalled for intervention of Segizzi must have displeased Bellarmine who did not consider that he had completed the part of the task assigned to him. And so, because he could not agree in conscience, the Cardinal refused to sign the document prepared at Segizzi's wish by the notary. And, after Segizzi had left, he must have reassured Galileo that Segizzi's intervention had been impulsive and not in accord with the instructions they had been given and Galileo, therefore, should not worry about it.But Segizzi, although he was not able to have Bellarmine's signature affixed to the document, did not hesitate to have it inserted in the dossier as a transcript of what had in fact happened. As we know already, on 3 March on the occasion of the weekly meeting of the Cardinals of the Holy Office, this time with the Holy Father present, Bellarmine let it be known that he had carried out the task assigned to him and that Galileo had assented. On the other hand, Bellarmine considered Segizzi's intervention to have been inopportune and contrary to the instructions given, so he did not mention it. And this explains the content of the document concerning the meeting and the contrast between it and the ones dated 26 February. ... and the decree of the Congregation of the Index having been presented, prohibiting and suspending, respectively, the writings of Nicolaus Copernicus, of Diego de Zuñiga On Job, and of Paolo Antonio Foscarini, Carmelite Friar - His Holiness ordered this edict of prohibition and suspension, respectively, to be published by the Master of the Palace. (trans. by Finocchiaro 1989, 149). ... And whereas it has also come to the knowledge of the said Congregation that the Pythagorean doctrine - which is false and altogether opposed to Holy Scripture79 - of the motion of the Earth and the immobility of the Sun, which is also taught by Nicolaus Copernicus in De revolutionibus orbium coelestium, and by Diego de Zuñiga [in his book] on Job, is now being spread abroad and accepted by many - as may be seen from a certain letter of a Carmelite Father, entitled Letter of the Rev. Father Paolo Antonio Foscarini, Carmelite, on the Opinion of the Pythagoreans and of Copernicus concerning the Motion of the Earth, and the Stability of the Sun, and the New Pythagorean System of the World, at Naples, Printed by Lazzaro Scorriggio, 1615; wherein the said Father attempts to show that the aforesaid doctrine of the immobility of the Sun in the center of the world, and of the Earth's motion, is consonant with truth and is not opposed to Holy Scripture. Therefore, in order that this opinion may not insinuate itself any further to the prejudice of the Catholic truth, the Holy Congregation has decreed that the said Nicolaus Copernicus, De revolutionibus orbium, and Diego de Zuñiga, On Job, be suspended until they be corrected; but that the book of the Carmelite Father, Paolo Antonio Foscarini, be altogether prohibited and condemned, and that all other works likewise, in which the same is taught, be prohibited, as by this present decree it prohibits, condemns, and suspends them all respectively. (XIX, 323; trans. by de Santillana 1955, 123). This Decree brings to an end that which is often called the first trial of Galileo. In fact, even though at the beginning there were denunciations against him and his writings, the conclusion of the affair prescinded from the person of Galileo (at least in the document which was made public, the Decree of the Congregation of the Index) and restricted itself to silencing Galileo with a precept of a wholly private character.81 As I have said already, in this way one planned to avoid a clash with the Grand Duke Cosimo II, whose esteem for Galileo, "his primary mathematician and philosopher", was well known, as well as with Galileo himself, whose sincere allegiance to his Catholic faith was recognized (at least among the higher levels of the Church hierarchy). He [Galileo] is all afire on his opinions, and puts great passion in them, and not enough strength and prudence in controlling it; so that the Roman climate is getting very dangerous for him and especially in this century; for the present Pope, who abhors the liberal arts and this kind of mind, cannot stand these novelties and subtleties; and everyone here tries to adjust his mind and his nature to that of the ruler. . .. Galileo has monks and others who hate him and persecute him, and, as I said, he is not at all in a good position for a place like this, and he might get himself and others into serious trouble. (XII, 242; trans. by de Santillana, 1955, 116). As one can see from the very nature of the business, I have no interest whatsoever in it, nor would I have gotten involved in it if, as I said, my enemies had not dragged me into it. What I have done on the matter can always be seen from my writings pertaining to it, which I save in order to be able to shut the mouth of malicious gossipers at any time, and because I can show that my behavior in this affair has been such that a saint would not have handled it either with greater reverence or with greater zeal towards the Holy Church. This perhaps has not been done by my enemies, who have not refrained from any machination, calumny and diabolic suggestion, as their Most Serene Highnesses and also Your Lordship will hear at length in due course. (XII, 244). As for the book of Copernicus himself, ten lines will be removed from the preface to Paul III, where he mentions that he does not think such a doctrine is repugnant to Scripture; as I understand it, they could remove a word here and there, where two or three times he calls the earth a star. The correction of these two books has been assigned to Lord Cardinal Caetani. There is no mention of other authors. (XII, 244; trans. by Finocchiaro 1989, 150). Guicciardini was certainly not the only one to attribute the position taken by the Church to a lack of tact on Galileo's part. 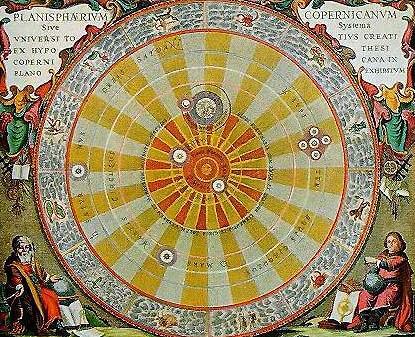 Even Kepler, whose work, Epitome Astronomiae Copernicanae, and, to be more exact, the first part of it, Doctrina Spbaerica, published at Linz in 1618, was prohibited as Copernican by the Congregation of the Index one year later (Decree of 10 May 1619), attributed that prohibition to the "inappropriateness of some who have treated of astronomical truths in places where they should not be treated and with improper methods". The Grand Duke, under the influence of the Ambassador Guicciardini, wished that Galileo in the end be calm, and that, content with the testimony of kindness on the part of Paul V, he would become persuaded to return to Florence. But Galileo was not in a hurry. A few days before the decision of the Holy Office, the Grand Duke, ignorant of what was about to happen, had asked Galileo to await in Rome the arrival of Cardinal Carlo de' Medici so that he could appear at his side and with his conversation make the banquets of the Cardinal with the various Roman personalities more interesting (XII, 237). Galileo, therefore, had a good excuse for staying in Rome. His appearance beside the Cardinal would have constituted a proof in public that he enjoyed, no less now than he had previously, the favor of the Grand Duke and of personalities in the Church. It was not just self-love that dictated this posture to Galileo. By remaining in Rome he wanted undoubtedly to hear what would leak out about the affair in which he was involved, so that he might be able to parry the blows which his adversaries would try to direct with regard to the affair. In fact, rumors began to spread right away that Galileo had been called by the Inquisition to give an account of his convictions about Copernicanism, that he had abjured these convictions, and that afterwards severe penances had been imposed on him by Cardinal Bellarmine. We, Robert Cardinal Bellarmine, have heard that Mr. Galileo Galilei is being slandered or alleged to have abjured in our hands and also to have been given salutary penances for this. Having been sought about the truth of the matter, we say that the above-mentioned Galileo has not abjured in our hands, or in the hands of others here in Rome, or anywhere else that we know, any opinion or doctrine of his; nor has he received any penances, salutary or otherwise. On the contrary he has onlbeen notified of the declaration made by the Holy Father and published by the Sacred Congregation of the Index, whose content is that the doctrine attributed to Copernicus (that the earth moves around the sun and the sun stands at the center of the world without moving east to west) is contrary to Holy Scripture and therefore cannot be defended or held. In witness whereof we have written and signed this with our own hands, on this 26th day of May 1616. (XIX, 348; trans. by Finocchiaro 1989, 153). Guicciardini grew increasingly more exasperated with Galileo's behavior. If we rely at any rate on the ambassador's report to Picchena, far from appearing to be weakened by the long battle and saddened by its epilogue, Galileo had not lost a bit of his combativeness and of his capacity to enjoy life (XII, 259). By now those in Florence wew also tired of this affair which was too drawn out and they were worried about its possible further developments. On 23 May Picchena sent to Galileo a courteous but clear invitation to return to Florence as soon as possible (XII, 261) and Galileo began his return trip during the first days of June. On the vigil of his departure, however, ha was furnished with a testimony of Cardinals Monte and Orsini who emphasized that, as Galileo left Rome, he kept intact his reputation and the esteem of all of those who had dealt with him and they gave assurance that it was clear to everyone how worng it was that he had been calumniated by his enemies (XII, 263-264). These testimonies were important for Galileo who felt the pressure to avoid, at whatever cost, losing the esteem and support of the Grand Duke, all the more so since he was aware of the hostility from the ambassador Guicciardini whom he feared would undoubtedly have given an account of the happenings not at all in his favor. We already know how well founded these apprehensions were. And so ends an episode which Galileo and his friends tried to make appear as if it were in no way harmful to his reputation. But deep down inside they (and especially Galileo) must have felt a deep bitterness. The plan conceived by Galileo, to silence the opposition by convincing the Church authorities that they must not hastily judge Copernicanism, had failed.